Once you've planned the perfect proposal, choose the ring that will make a lasting impression. You'll want a ring that speaks to her soul and this beautiful diamond solitaire will do just that. Imagine her reaction when you present her with this stunning ring. It's the only thing you'll need to create that ''moment of a lifetime. Your sweetheart won't be able to contain her emotions when you surprise her with this gorgeous ring. It's an opulent choice for everlasting sparkle and the perfect way to express how much she means to you. 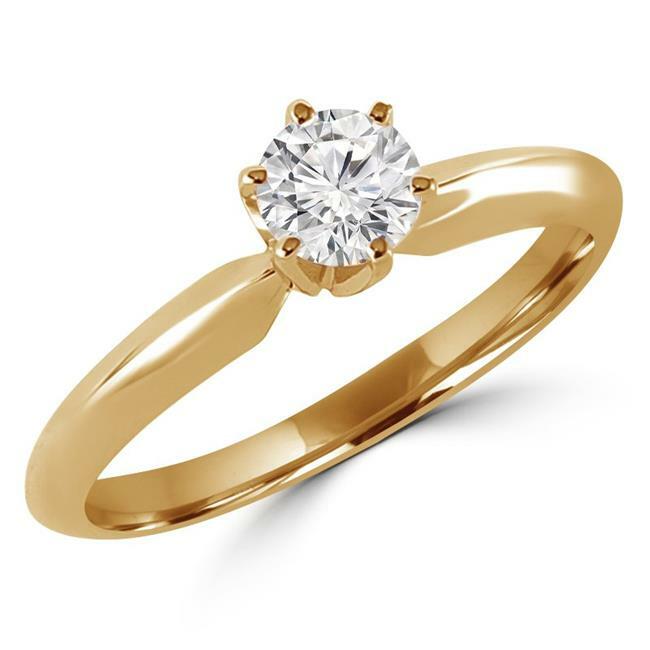 Get ready to make your special someone's day (and lifetime) with this stunning 14K yellow gold 0.43 CT Round Diamond Solitaire Engagement Ring. This divine diamond ring has a very good cut with a G-H color range and SI2-I1 clarity. You'll know that this ring is the right choice the moment you witness your partner's reaction to it.